The Board supports and advises the Comptroller and Auditor General (C&AG) in meeting his statutory responsibilities, and oversees how we manage and use resources. The Leadership Team is an executive group responsible for supporting the C&AG in running the NAO. For more details about the Board see the links below. Michael Bichard worked at senior levels in local government and was the chief executive at both Brent and Gloucestershire. He then moved into central government working as chief executive of the Benefits Agency and then as permanent secretary at the Department for Education and Employment. Since his retirement from the civil service in 2001, he has held a variety of positions including vice chancellor of the University of the Arts London, chair of the Legal Services Commission, founder director of the Institute for Government, chair of Shakespeare’s Globe, chair of the Design Council, and has recently retired as chair of the Social Care Institute for Excellence. He also chaired an inquiry into the Soham murders in 2004. Michael is currently chair of Bristol Business School advisory board, non-executive director of The Key (an education support company), and trustee of the River and Rowing Museum. He received a knighthood in 1999 and became a cross-bench member of the House of Lords in 2010. He was for five years a deputy speaker of the House. 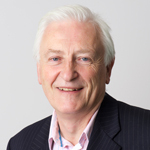 Ray Shostak CBE is an international adviser in education, government performance and public service reform. He has held a number of positions in local and central government including head of the Prime Minister’s Delivery Unit and was a member of the HM Treasury board between 2007 and 2011. 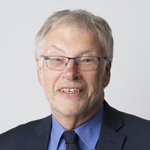 Ray is currently chair of Trustees of the Consortium of Voluntary Adoption Agencies, a trustee of the Early Intervention Foundation and is an Honorary Norham Fellow at Oxford University. He has been chair of the remuneration and nominations committee since January 2015. 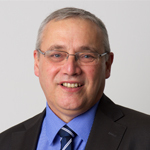 Robert Sykes has significant experience of working in local government and served as chief executive of Worcestershire County Council for ten years. He also has non-executive experience in the private and public sectors, most recently serving on the boards of Core Assets and as non-executive member of the board of the Crown Prosecution Service until 2012. In 2012 he was appointed by the Secretary of State for Communities and Local Government as lead commissioner at Doncaster MBC. He left in the summer of 2014 when the intervention successfully ended. Janet Eilbeck is a chartered accountant with over 30 years’ experience. She was an assurance Partner at PWC until 2011, specialising in government and the broader public sector, including wide experience of internal audit. She was also Chair of the Internal Audit Standards Advisory Board (IASAB), as well as being the independent financial expert for the Department of Education. She is the Chair of the NAO’s Audit Committee since December 2016. 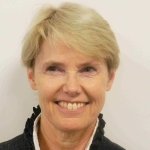 Dame Clare Tickell has extensive experience at Board level having led a variety of organisations across the charitable and public housing sectors. She is CEO of Hanover Housing Association, having previously been Chief Executive of Action for Children. In 2014 she became Chair of the Early Intervention Foundation. 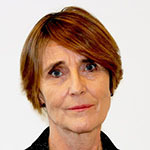 Dame Clare qualified as a social worker at Bristol University in 1984 and worked for social care and housing organisations including Centrepoint, and Stonham Housing Association. She was also a commissioner on the RSA 2020 Commission into Public Services; and former Board Member of The Guinness Partnership, a Fellow of the RSA, and Chair of the CVLS Honours Committee. From 2011-2013 she Chaired the Commission on the Future of Hospice Care. 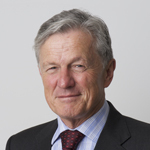 Sir Amyas Morse was appointed C&AG on 1 June 2009, and is a member of the Institute of Chartered Accountants of Scotland. Amyas was global managing partner (operations) at PricewaterhouseCoopers before he joined the Ministry of Defence in 2006 as commercial director. 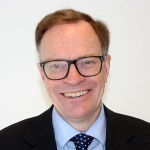 He has served as a member of the Major Projects Review Group and the Public Sector Board of the Chartered Institute of Purchasing and Supply, and on a National Health Service Project Board. Daniel Lambauer joined the NAO in 2009 as a performance measurement expert and helped establish our local government value for money team. For the last two years he has led the development of the NAO’s value for money practice. He joined the leadership team in April 2017, as Executive Leader with oversight of the NAO’s strategy and operations. Prior to joining the NAO, Daniel worked in a range of sectors, including academia, management consultancy and the civil service. 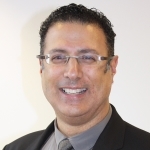 Abdool Kara joined the NAO in February 2017 as Executive Leader, Local Services, responsible for the NAO’s value for money portfolio covering education, health, local government, and other local services such as police and transport. Prior to joining the NAO Abdool had 25 years’ experience in the local government sector, including working for four different councils up to and including chief executive level, and seven years at the Audit Commission on both value for money and inspection. He also had a stint at the Cabinet Office working on public service improvement. His experience lies in the areas of housing, performance management, public policy, and transformation and efficiency. 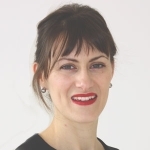 Kate Mathers joined the NAO in 2000 and for the last 18 months led the development of the NAO’s financial audit practice. Kate joined the leadership team in April 2017 as Executive Leader with oversight of financial audit. She is a Chartered Accountant with many years’ experience auditing a wide range of public sector bodies. She has held senior management positions in finance and operations while working on secondment at the Independent Parliamentary Standards Authority and sits on the ICAEW’s Council. 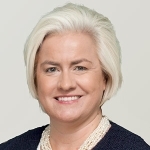 Rebecca Sheeran joined the NAO in 2004, and joined the leadership team in April 2017 as Executive Leader with oversight of value for money. She is a Chartered Accountant with many years’ experience auditing a wide range of public sector bodies, covering both financial and value for money audit. For the last two years she has led the NAO’s value for money audit of the Department for Transport and Network Rail, including recent work on Modernising the Great Western Railway and an investigation into the Department for Transport’s funding of the Garden Bridge. John Thorpe joined the NAO in 1983 as a trainee, becoming a lead director and joining the leadership team in January 2014. John qualified as an accountant with the NAO. He has experience of directing a mixed portfolio of work and is currently the joint-leader of the NAO’s financial audit workstream. John works with a range of NAO teams engaged in the audit of programmes including tax, welfare, defence, transport, energy, environment and rural affairs and regulation. John also oversees the NAO’s international work. 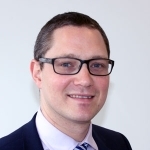 Stephen Smith joined the NAO in August 2015 and is jointly responsible for leadership of the financial audit workstream, a portfolio of public and sector bodies and more generally the NAO’s corporate finance related work. Prior to joining the NAO, he had over 20 years experience as a partner with KPMG where he led a number of key initiatives for the firm nationally and internationally, often with a performance improvement or change agenda at their heart. 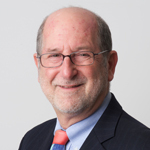 His experience ranges across a broad spectrum, including audit, mergers and acquisitions and business advice. Max joined the NAO in 2011. For the last five years he has led the NAO’s value for money audit of the Department for Work & Pensions, and more recently the NAO’s approach to digital transformation in government. Max joined the leadership team in April 2017 as Executive Leader with oversight of Digital Transformation. 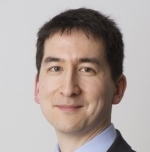 Prior to joining the NAO, Max worked as a consultant with McKinsey & Co. and has worked in the UK and overseas in a range of sectors including logistics, regulatory strategy, retail, climate finance, and health.